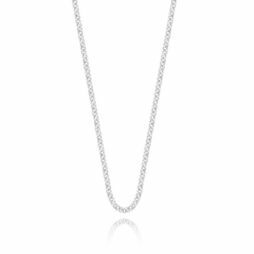 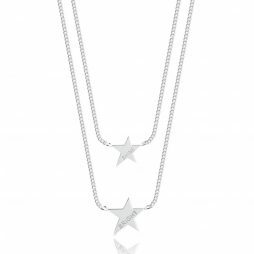 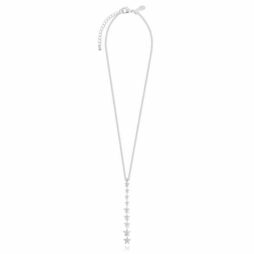 Guaranteed to be a star sell out, the Joma Jewellery Coralie Double Shine Bright Silver Stars Necklace features a double chain with two stars charms suspended in each chain. 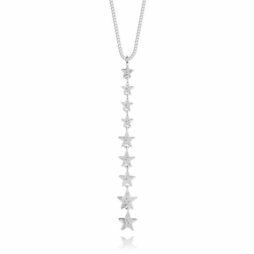 The shortest chain holds the smaller of the two stars and is stamped with the word SHINE, and the longer chain holds the larger star and is stamped with the word BRIGHT. 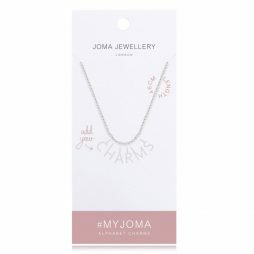 From JOMA’S latest Dash Collection, this Joma Jewellery Dash Lariat Heart Silver Friendship Bracelet is beautifully finished with a duo of falling silver heart charms and a new logo slider bead that can be adjusted to fit. 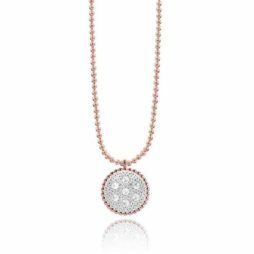 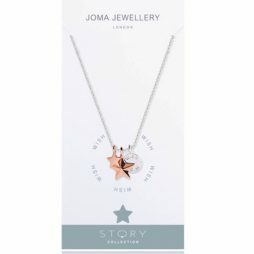 Wrap yourself up in stars this season with the brand new Joma Jewellery Astra Rose Gold and Silver Star Necklace This beautiful shining rose gold and silver plated star pendant falls from a sparking facetted mid-length chain creating the perfect cosmic piece. 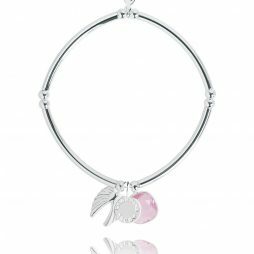 A gorgeous trio charm clustered Story bracelet to create your very own story, the Joma Jewellery Story Silver Guardian Angel Charms Bracelet features a plain silver stretchy tube bangle with a beautifully detailed 3D angel wings charm, a pale pink facetted crystal charm and a guardian angel word disc. 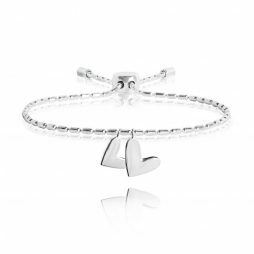 Which charms will you add for your happy ending? 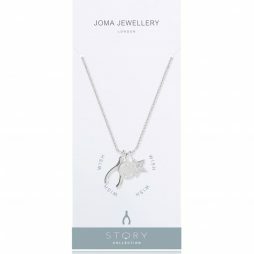 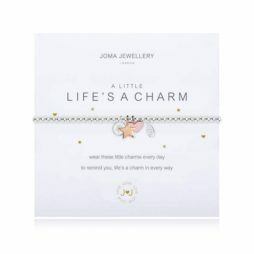 This beautiful Joma Jewellery Story Wish Charms Necklace is the little reminder that your wishes really do come true. 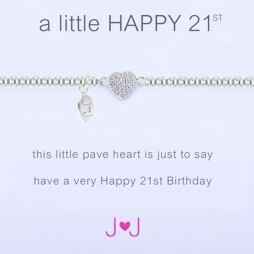 Featuring a 3D wishbone charm, a pave star charm and a wish word charm to create the perfect trio of charms. 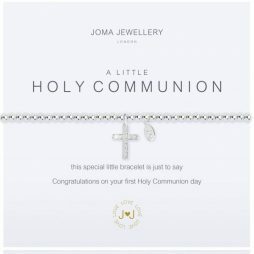 Joma Jewellery A Little First Holy Communion Silver Bracelet. 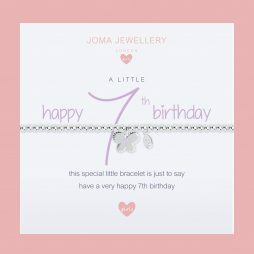 Carry a little Faith and love everyday with this new Joma a little bracelet from the latest collection. 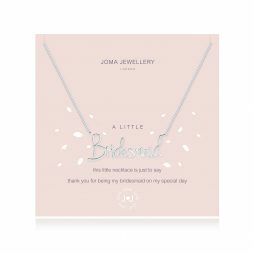 “Congratulations on your first Holy Communion day”. 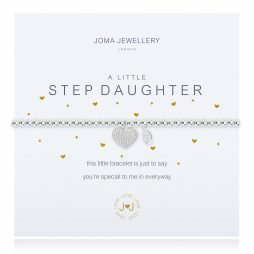 Joma Jewellery A Little Step Daughter Silver Bracelet. 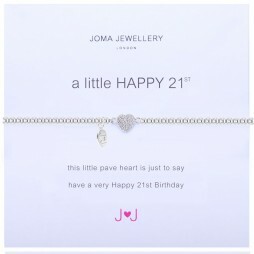 This a little bracelet from Joma Jewellery’s brand new collection features a silver plated heart charm encrusted with tiny crystals for the perfect shimmer. 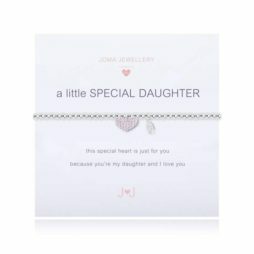 ‘this little bracelet is just to say you’re special to me in every-way’. 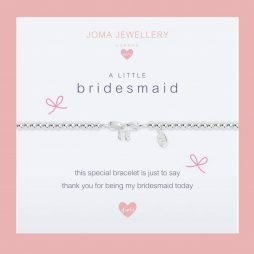 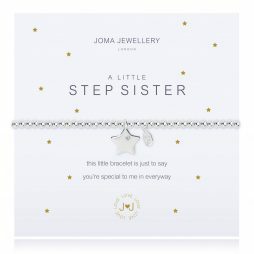 This a little Joma bracelet features a high shine silver plated flat star with a single crystal detail ‘this little bracelet is just to say you’re special to me in every-way’. 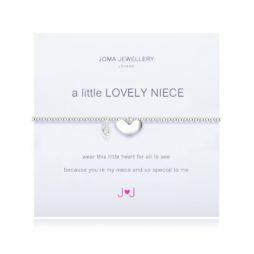 Joma Jewellery a little LOVE IS ALL AROUND Silver Bracelet. 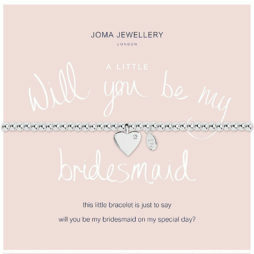 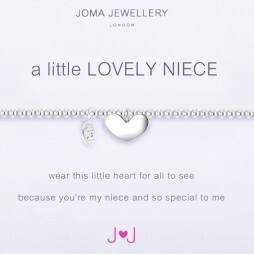 From Joma Jewellery’s ‘a little’ collection. 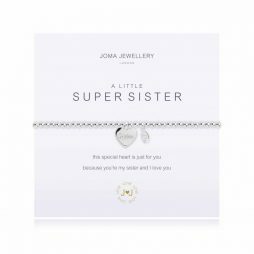 Crafted from 3mm silver plated ball bracelet on a stretchy design bracelet and detailed with pretty silver plated hearts. 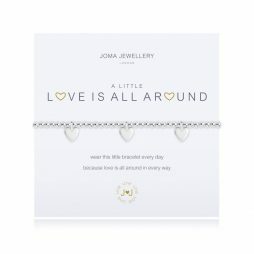 The sentiment on the gift presentation card reads “wear this little bracelet every day, because love is all around in every way”. 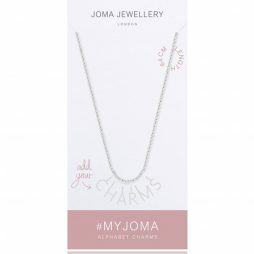 The brand new Joma necklace that you’ll love forever. 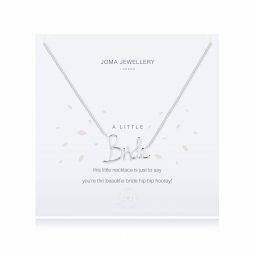 This Joma Jewellery Adrianna Live Laugh Love Rose Gold and Silver Heart Necklace is the perfect mix of rose gold and silver outline heart pendants, stamped with the sweet sentiment Live Laugh Love falling from a mid-length plain silver plated chain. 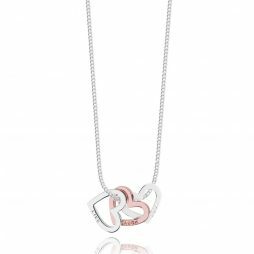 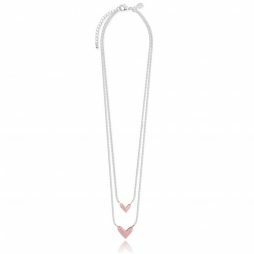 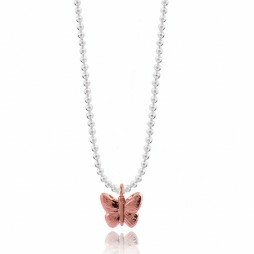 A guaranteed best seller, Joma Jewellery Coralie Double Love Life Rose Gold Heart Silver Necklace is the perfect everyday accessory. 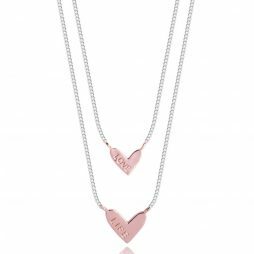 This layered necklace features a silver double chain with two rose gold heart pendant charms suspended in each chain. 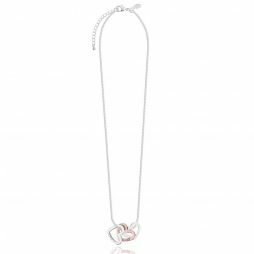 The smaller heart is stamped with the word LOVE, and the longer chain which holds the larger heart and is stamped with the word LIFE. 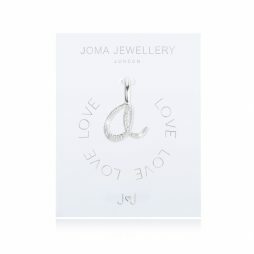 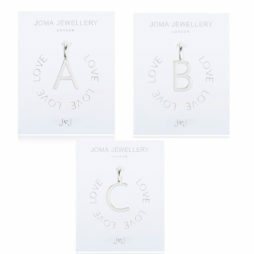 Joma Jewellery a little With Love Silver Heart Sparkle Earrings – Limited Edition. 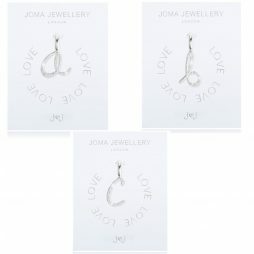 Stylish Joma Jewellery Pave Crystal Silver Heart Drop Earrings, perfect for dressing up for any occasion. 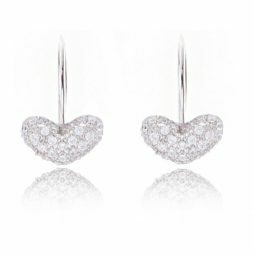 Simple and chic, these beautiful earrings feature a gorgeous heart crystal. 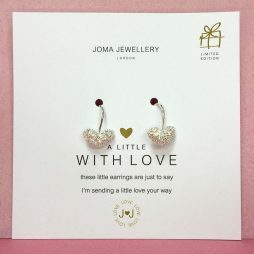 Refresh your wardrobe with these pretty little Joma Jewellery Pave Crystal Silver Heart LILOU Earrings, perfect for wearing for any occasion. 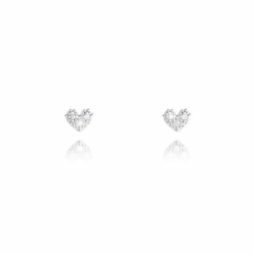 Simple and effortlessly stylish these earrings feature a tiny pave silver puffed heart. 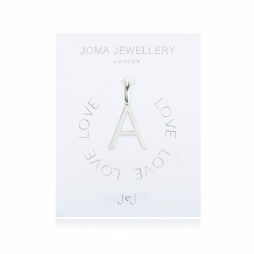 We love this brand new two tone heart design from Joma Jewellery’s new collection. 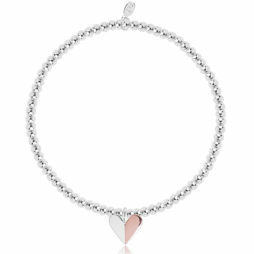 Romantic two tone heart charm in silver and warm rose gold on a beautiful sparkling faceted small silver bead bracelet. 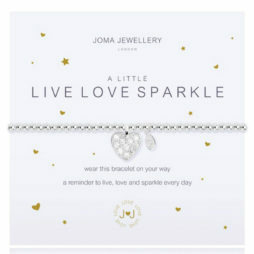 New from Joma Jewellery’s brand new bracelet range, this ‘a little LIVE LOVE SPARKLE Silver Bracelet ‘ features a gorgeous silver plated pavé heart charm on a stretchy 3mm silver plated ball bracelet with the words ‘wear this bracelet on your way a reminder to live, love and sparkle every day’. 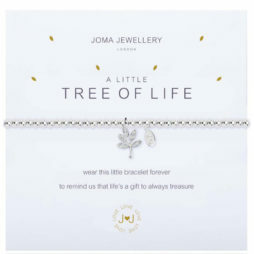 Joma Jewellery a little TREE OF LIFE Silver Bracelet. 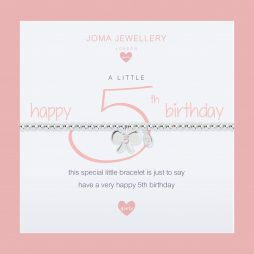 This brand new addition to the Joma Jewellery ‘a little collection’ features a sparkling crystal tree charm on a silver plated bracelet, with the words “wear this little bracelet forever to remind us that life’s a gift to always treasure” – so beautiful and so true! 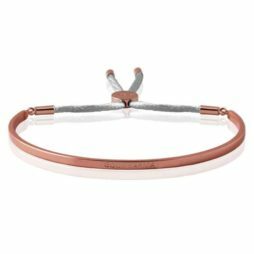 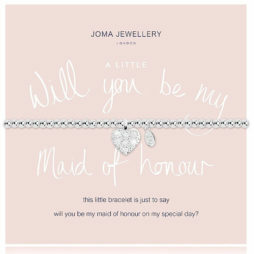 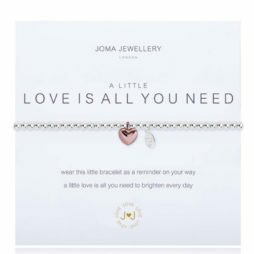 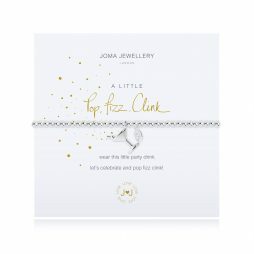 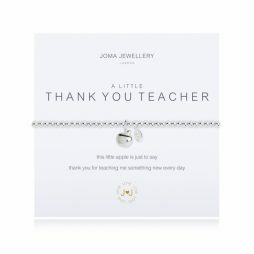 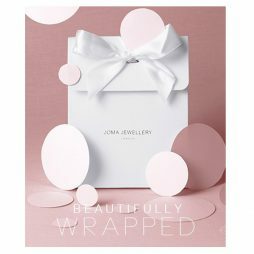 Joma Jewellery A Little Love Is All You Need Bracelet with Rose Gold Heart Charm is beautifully presented on its own white gift card which reads; “wear this little bracelet as a reminder on your way a little love is all you need to brighten every day”. 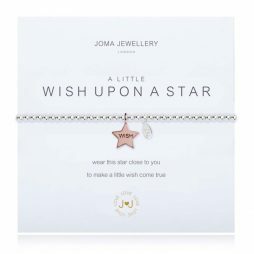 Make your dreams come true… wish upon a star with Joma Jewellery’s a little Wish Upon A Star Silver Bracelet. Features a beautiful silver bead bracelet with a rose gold wish star charm. 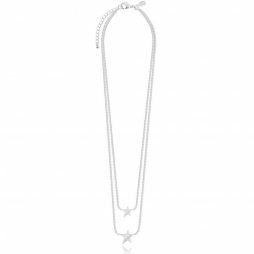 With the words “wear this star close to you to make a little wish come true”.